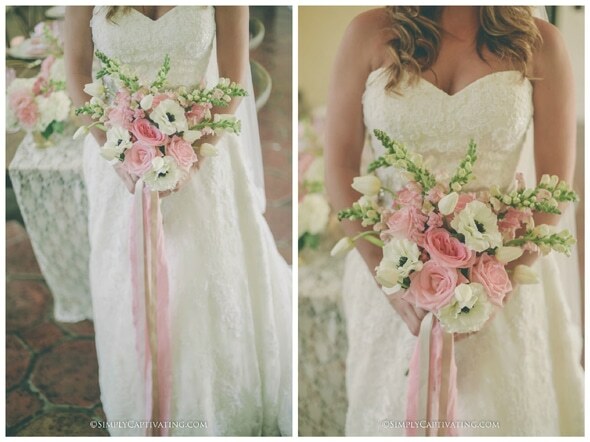 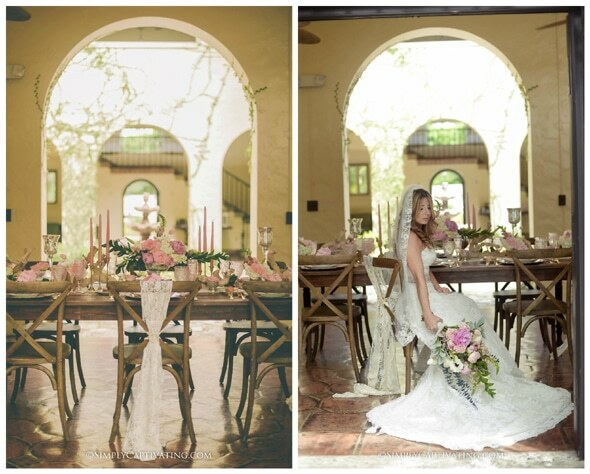 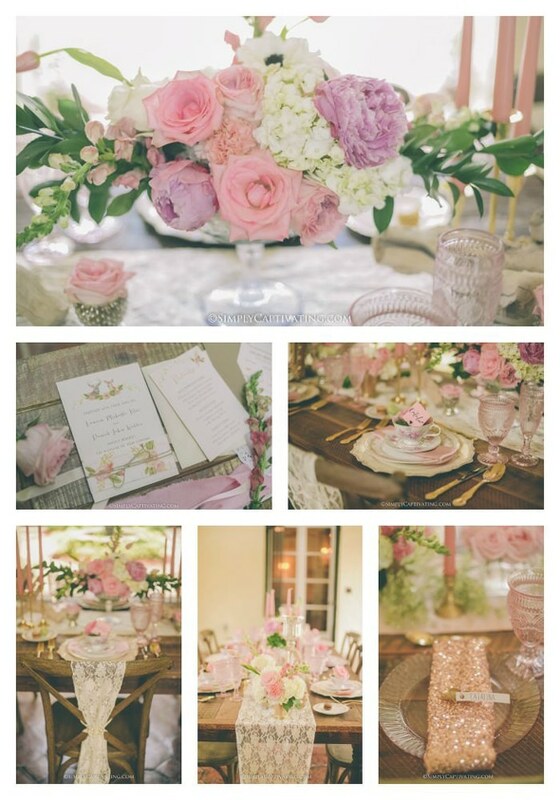 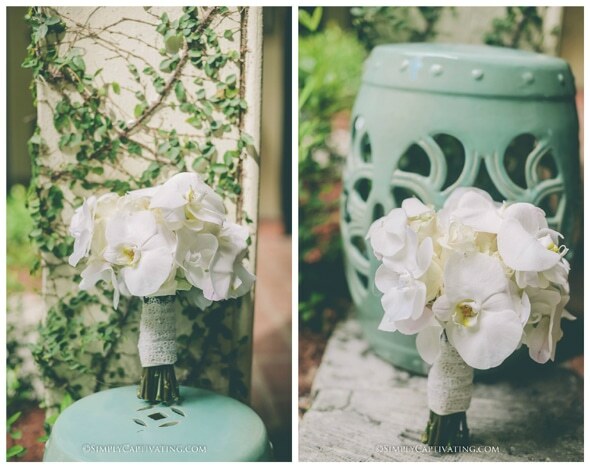 Simply Captivating Photography captured the most beautiful Vintage Chic Tea Party Wedding Shoot. 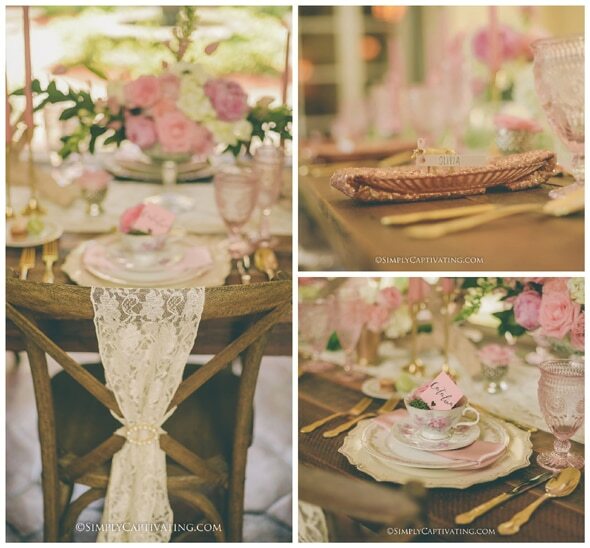 With gorgeous blush, white and green details with a hint of vintage lace and a touch of glam this would make the perfect setting for a wedding, bridal shower or birthday party! 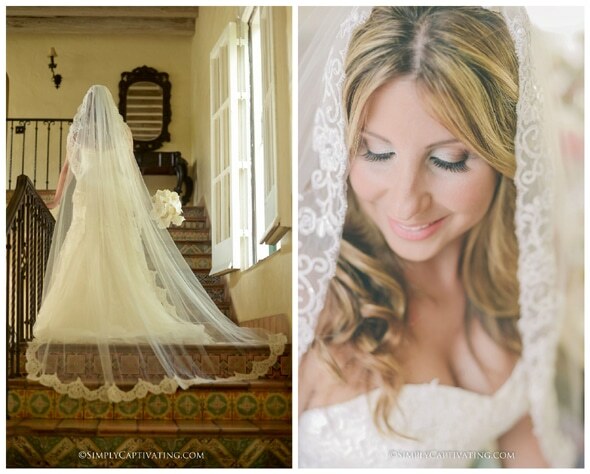 The bride looks gorgeous in a vintage lace veil and dress. 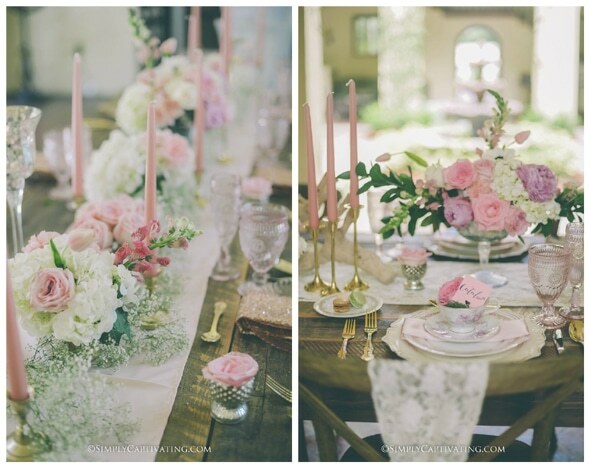 Gorgeous, lush florals and a darling wedding bouquet set the tone for the tablescape and the vintage chic tea theme. 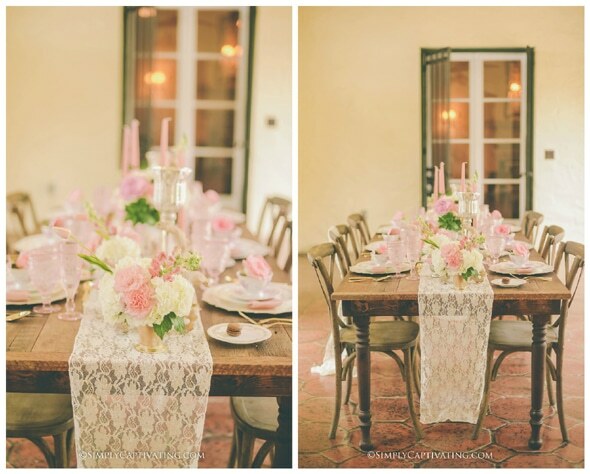 The simplicity of the flower centerpieces on the tables paired with lace table runners gave the space that perfect vintage chic vibe. 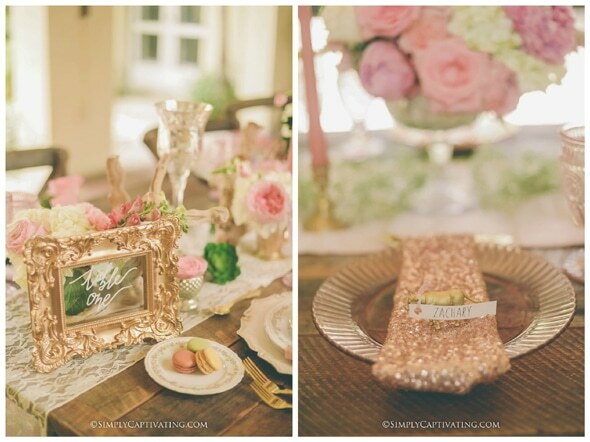 Fancy vintage gold photo frames served as table numbers and a bit of sparkle was seen on the plate chargers giving it that added glam! 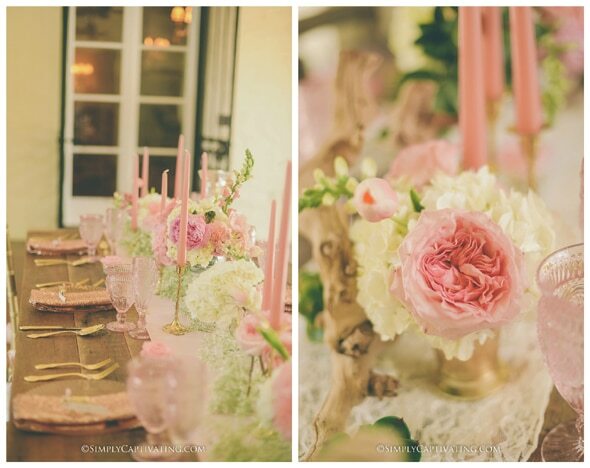 Pink candlesticks and gold tableware rounded out this beautiful table setting! 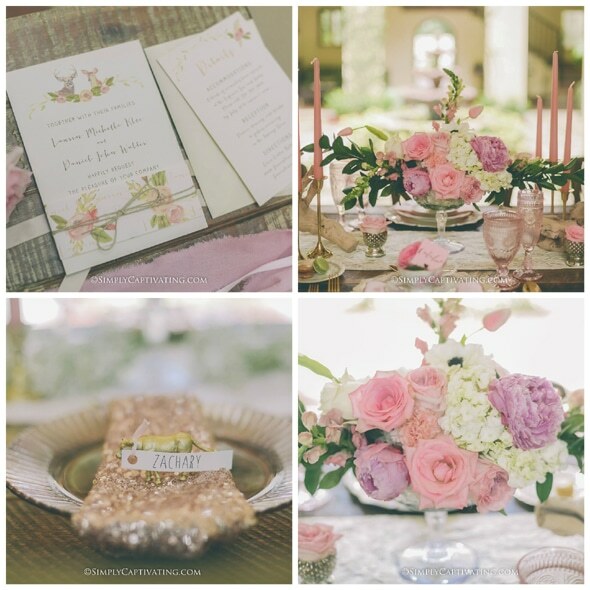 What amazing inspiration for any bride-to-be looking for a vintage chic wedding or bridal shower!